If you have ever watched a live broadcast on HSN (Home Shopping Network) or QVC, the two largest Live shopping channels on TV, you understand how powerful live video is for shopping. For those of you who have not, imagine selling 40,000 products or more in just 24 hours. Most stores, online or not, only dream of hitting those numbers — let alone in 24 hours. We understand that not everyone can be featured on the shopping networks, which is why live video in your online store could turn your audience into live consumers. Having a live or offline broadcast embedded on your page is critical for your customers. First, you are immediately eliminating the distraction of click bait from other websites. If you are broadcasting for an individual product, you can have that product shown directly below, so there is no interruption during the purchase period for consumers. A live broadcast can not only boost sales but also allows for immediate feedback from the customers that you are trying to reach. During a live HSN broadcast E! Networks Giuliana Rancic, also one of HSN’s many celebrity partners, tells customers how she changed parts of her clothing line because the majority of people called in with feedback for her, ”I literally know in real time how people are responding.” (racked.com) With critiques directly from your consumers, these results guide you to change your products so that they become a better fit for the market, thus generating more sales. It is very often that online shoppers are stuck deciding whether they should or should not purchase something — it becomes difficult because they cannot see the product being used. With Stream’s embed player you can go live to reach your customers in real time answering any questions they may have to make the sale. With Stream you have the option to save the footage on the player in case individuals miss the live broadcast. 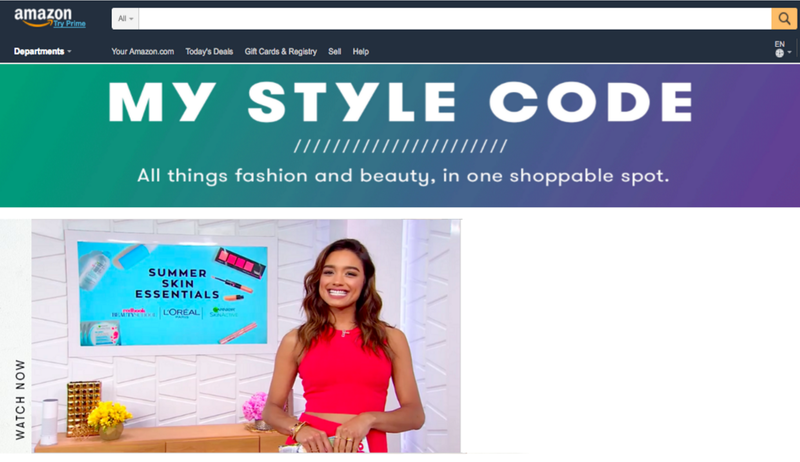 Stream has powered e-commerce shows ranging from the Live MyStyleCode on Amazon to the ProShop stores for USL Soccer teams. With the lowest latency on the market, there is almost no delay from the consumer to the supplier while leveraging audience from social media. This kind of traction is unlike anything you would receive from any other product marketing. Whether you are using a cell phone to power your live video or full production, your sales can boost tremendously. Contact Stream today to learn more about e-commerce is changing with live video.